Arches National Park harbors more than 2,000 arches. It would be quite a feat to list, let alone see them all. 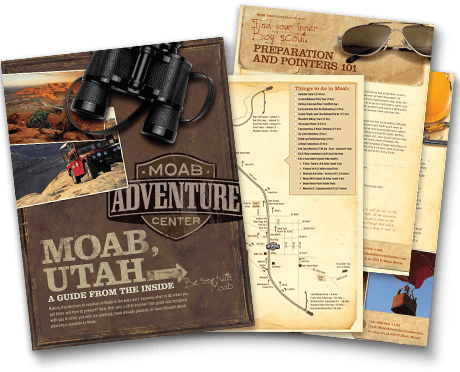 However, we will help you get a leg up on your Arches research by mentioning a handful of the most notable and accessible arches to be found in the park. 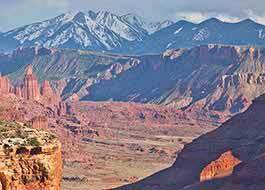 Naturally our list would have to begin with Delicate Arch, The most famous arch in the park, and probably the world. 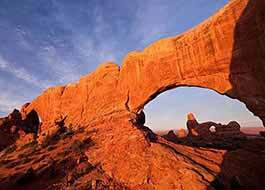 This Arch is featured on the Utah license plate, it’s an icon for not just Utah, but the entire desert Southwest. People flock from all corners of the Earth just to see and photograph this arch up close. 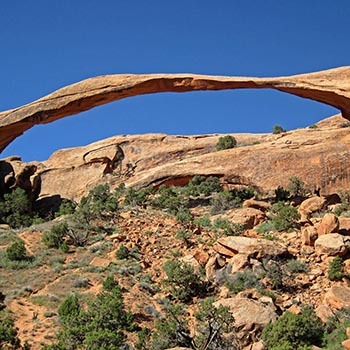 Double Arch isn’t just two Arches, it’s two arches that share the same foundation stone. The south Arch has a vertical opening of 112’ making it the tallest arch in the Park. North Window & South Window, or the Spectacles, as some people call them, are the first major arches you see upon entering the Park. Though they are easy to view from a distance,these arches are much more impressive if you take the short walk to stand inside them. A gentle hike to a fun little arch (relatively speaking), Turret Arch, offers another impressive view of the North and South Windows. Toward the back of the park, in the Devil’s Garden area, looms Landscape Arch. With a span of 306 feet, it is the longest arch in the United States, and 4th longest in the world. 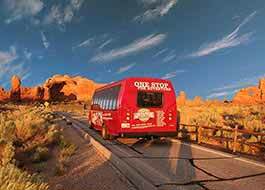 Beyond Landscape Arch, along a more challenging trail, is Double O Arch. Double O Arch is unique and interesting in the fact that two arches formed from one Sandstone fin are stacked one atop the other. Sand Dune Arch is literally a hidden gem so don’t miss it. This is the only arch that sits along the skyline, hence its name. Its positioning allows it to be viewed from other places throughout the park; however, a quick, easy jaunt from the parking lot allows an up close view of the arch.